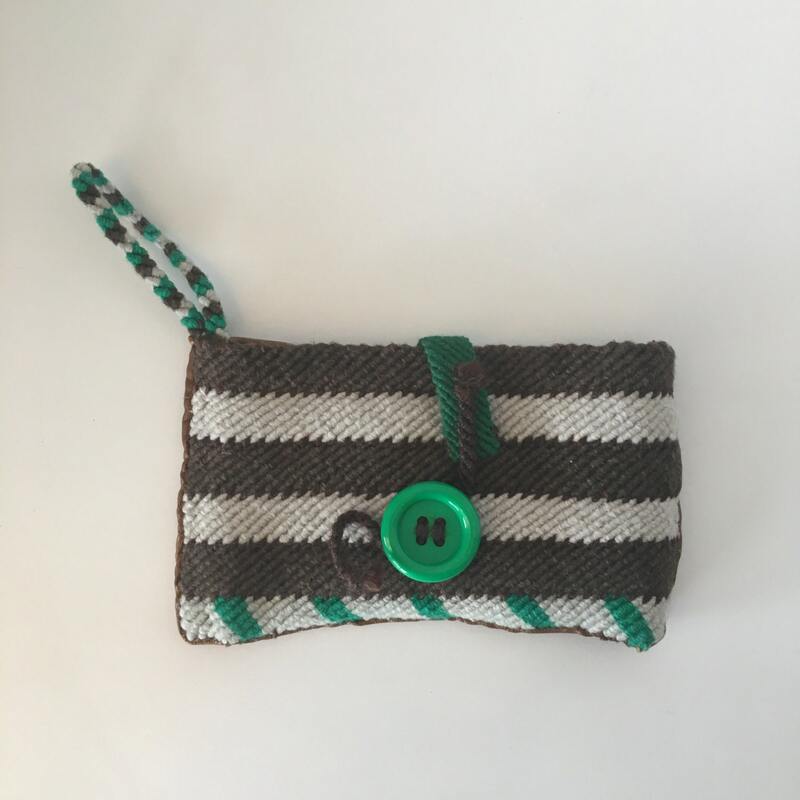 Handmade woven wristlet with cotton yarn and upcycled leather. October 2015 First Friday Artist is textile artist Keena Nichelle Graham! She goes by The Diva Weava. When Keena isn't weaving her creations, you can find her at Russell Cave National Monument in Bridgeport, Alabama here she is a full time park ranger! 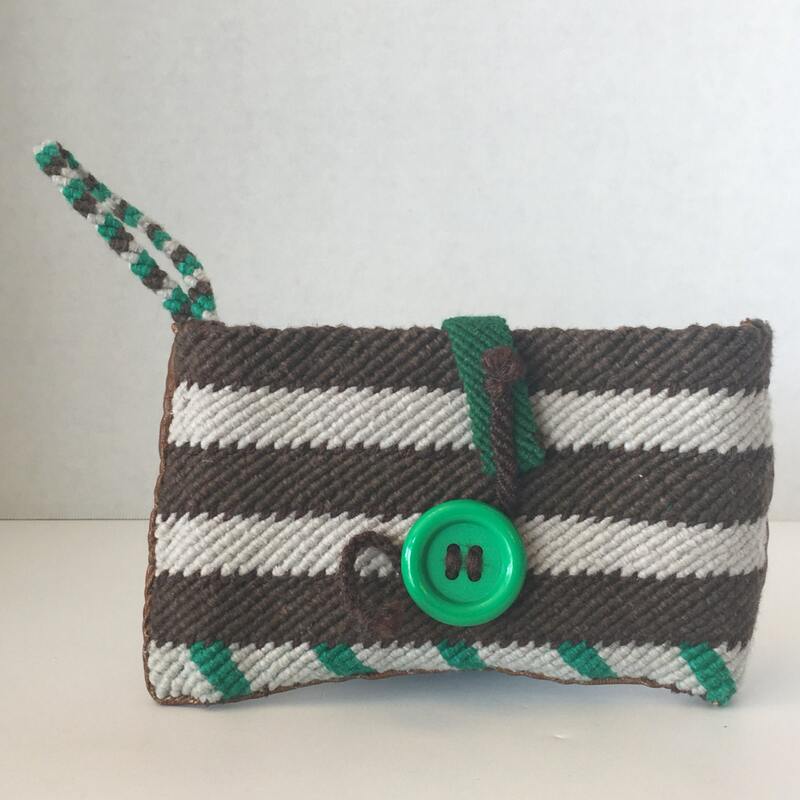 This wristlet is perfect for your cell phone and credit cards! 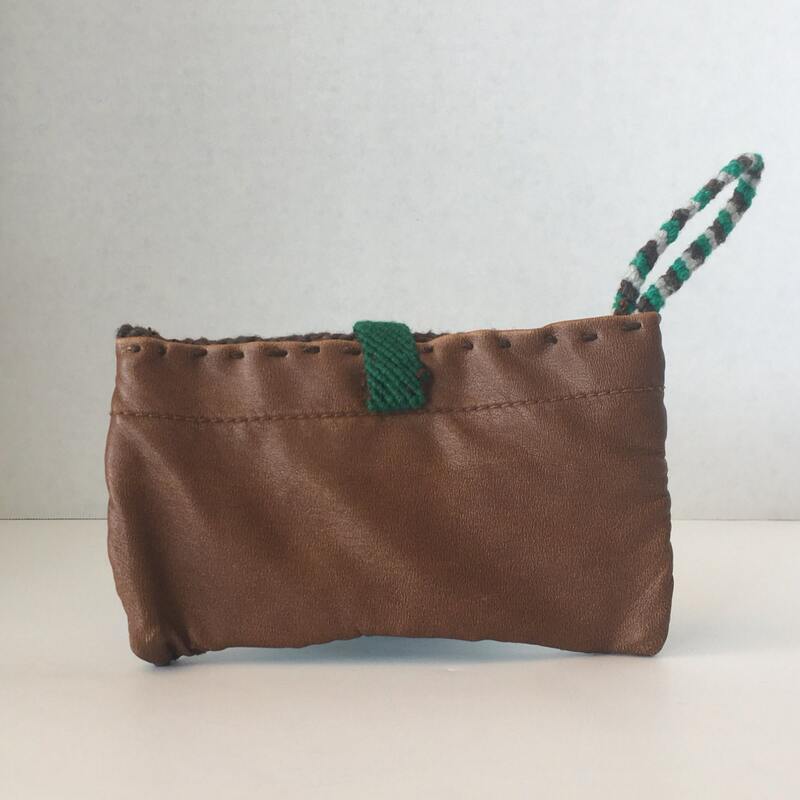 Also a great size to use as a wallet in your existing purse! The yarn is cotton.